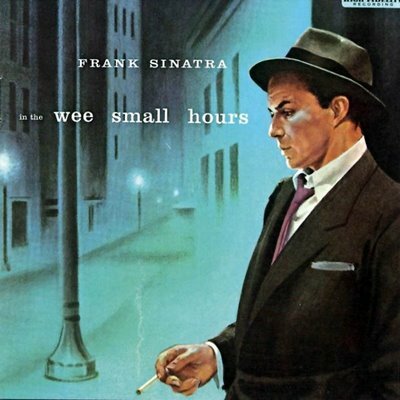 Recorded in 1955 In the Wee Small Hours is the ninth studio album and widely considered to be the first set of songs that Frank Sinatra recorded specifically for an L.P. With songs arranged by the incomparable Nelson Riddle, the album could almost be considered a heart broken follow-up to his more romantically wide-eyed prior release Songs For Young Lovers, and is considered by many to be the first concept album. This time around neither hope nor love springs eternal, and if the song selections on this album are any indication The Chairman of the Board was taking the end of his failed relationship with Ava Gardner very, very hard and wears his heart on his forlorn sleeve on this collection of carefully selected melancholy standards that come across with even more sublime poignancy with the expertly crafted arrangements by Nelson Riddle and his orchestra. Considered one of Sinatra’s more jazzy affairs and one of the finest jazz albums of all time, the songs when listened to in one sitting and in order tell the story of a broken man not ready to accept the loneliness that was sure to be in front of him now that the love of his live is gone. This feeling of not being able to sleep, tossing and turning, thinking about his lover sets the mood for the entire album with the first song “In the Wee Small Hours”. “In the wee small hours of the morning, that’s the time you miss her most of all”, pretty much says it all. With “Moon Indigo” things seem to be getting a bit desperate for our desolate hero. In the evening when the lights are low seems to be a particularly bad part of the day for him as he calls himself just a soul that when he gets that blue indigo he could just lay down and die. And so it goes throughout the record with Sinatra playing the role of scorned lover to the hilt with ravishing and heartfelt vocal phrasings that supremely complement the somewhat muted guitar work and the lush almost in the background string arrangements. The grandest instrument of all is framed perfectly with the music where all of the knobs are delicately tuned to bring out the aural Mona Lisa that is the voice of Frank Sinatra. 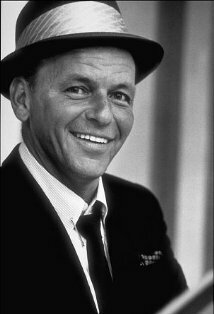 The album reached number 2 on the billboard charts and at the time was Sinatra’s highest charting record. It was issued in two versions, as two 10” discs and also as one 12”. The record was named the 3rd best album of the 50’s behind the Miles Davis classic Kind of Blue, and the initial offering by Elvis Presley, and made the list at number 100 as one of Rolling Stones greatest albums of all time. Both Tom Waits and Marvin Gaye have cited the album as one of their favorites with Waits using the album art on the cover of his own album The Heart of Saturday Night. All of these accolades aside, I could not in good conscious recommend this album as your sole break up soundtrack should you find yourself in the unfortunate circumstance of breaking up with someone, not in large doses anyway. You would be much better off playing this album in its entirety while leaning against a lamp post preferably with a cigarette dangling out of the side of your mouth, followed up with the Mayer Hawthorne song “The Walk” where you tell her that she can walk those long legs right out of your life, and then for good measure for a finale treat yourself to a little Cee-Lo Green “Forget You”, or better yet the explicit version. Once you are finished put out your cigarette, down one more shot of whiskey, and leave the wee small hours of the morning behind you….and go to sleep. I discovered this album in college and have never stopped listening to it. He is just so raw in his emotions and the arrangements are superb. Recent Cool Albums and News. Herb Alpert’s ‘Whipped Cream Lady’ Closes In On 82 Years Old….